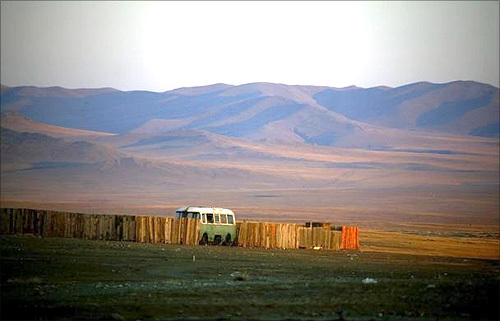 An old Russian-made van sits in a yard in a small mining camp located around 250 km (70 miles) south-west of the Mongolian capital city Ulan Bator. 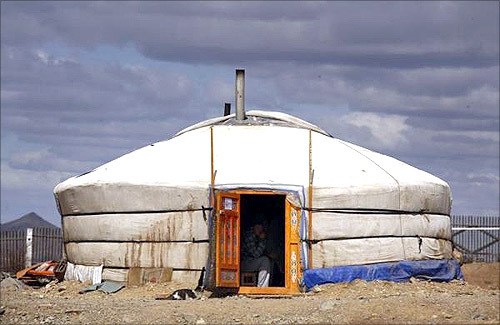 Mongolia remains the least densely populated country on the planet at 1.7 persons per square kilometres. The population of just 2.7 million people are spread across an area three times the size of France, with two-fifths of Mongolians living in rural areas. In the last five years, dwindling legal gold supplies and a spike in black market demand from China have made work much more lucrative for Mongolia's "ninja miners" - so named because of the large green pans carried on their backs that look like turtle shells. 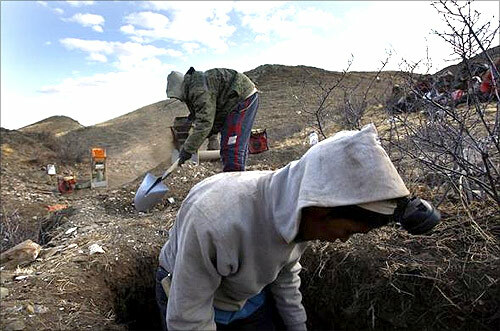 For thousands of dirt-poor herders, the soaring prices alone are enough to justify years of harassment, abuse and hard labour. 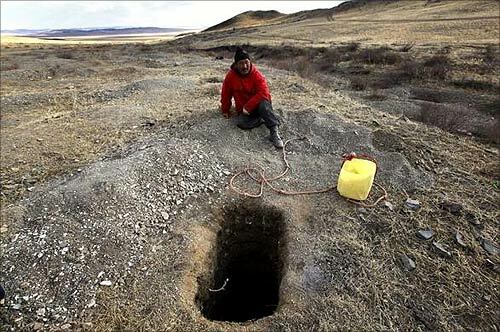 Image: A small-scale miner rests next to a 15-feet (4.6-metre) deep hole he dug searching for gold on a small hill overlooking grasslands located around 200 km (125 miles) south-west of the Mongolian capital city Ulan Bator. 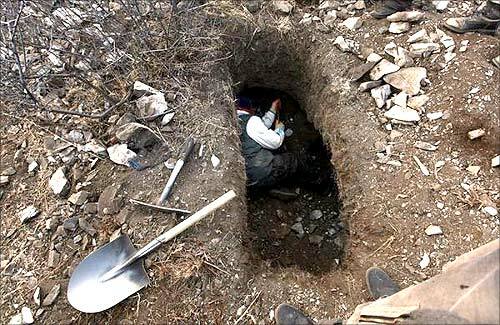 Small-scale miners dig holes searching for gold on a small hill overlooking grasslands located around 200 km (125 miles) south-west of the Mongolian capital city Ulan Bator. 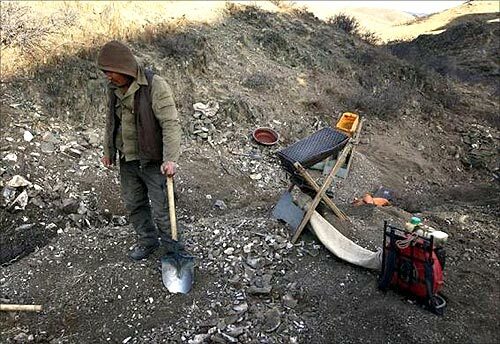 A small-scale miner rests on his shovel next to equipment as he takes a break from digging for gold on a small hill overlooking grasslands located around 200 km (125 miles) south-west of the Mongolian capital city Ulan Bator. Small-scale miners remove mats placed to capture gold from a crushing machine at a processing plant located around 100 km (62 miles) north of the Mongolian capital city Ulan Bator. 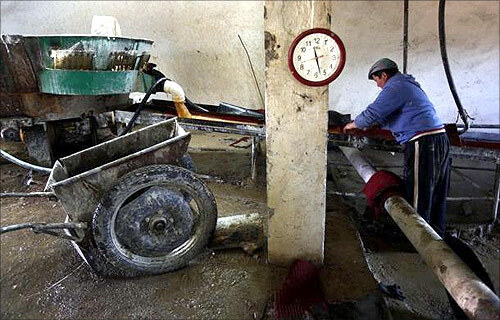 Small-scale miners remove mats placed to capture gold from a crushing machine at a processing plant located around 100 km (62 miles) north of the Mongolian capital city Ulan Bator April 5, 2012. A mine worker sits in a traditional Mongolian tent located at a mining camp around 250 km (70 miles) south-west of the Mongolian capital city Ulan Bator April 4, 2012. 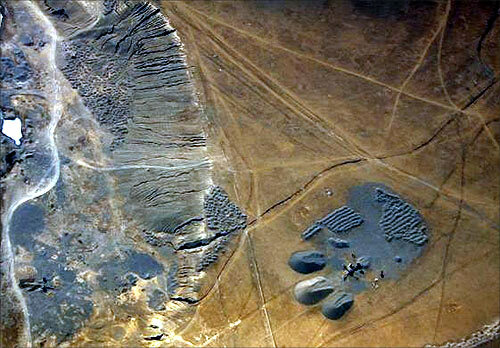 Piles of minerals can be seen next to a sifting machine located on the outskirts of the Mongolian capital city of Ulan Bator. 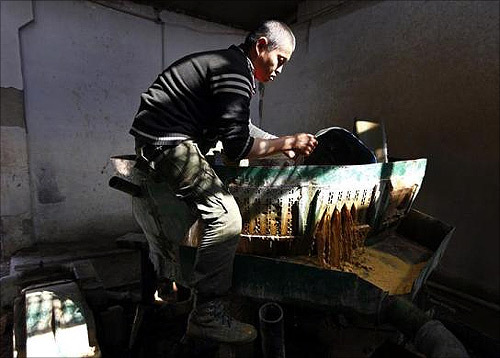 A small-scale miner pours water into a crushing machine in an attempt to siphon gold at a processing located around 100 km (62 miles) north of the Mongolian capital city Ulan Bator. 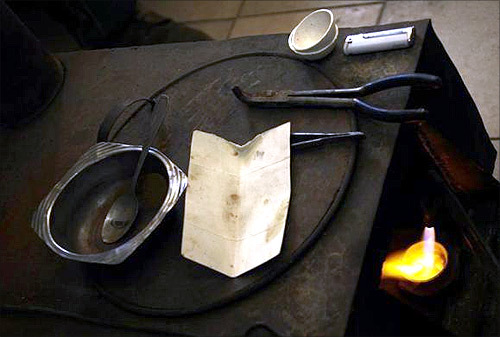 A worker's tools sit on top of a small stove used to melt gold at a processing plant located around 100 km (62 miles) north of the Mongolian capital city Ulan Bator. 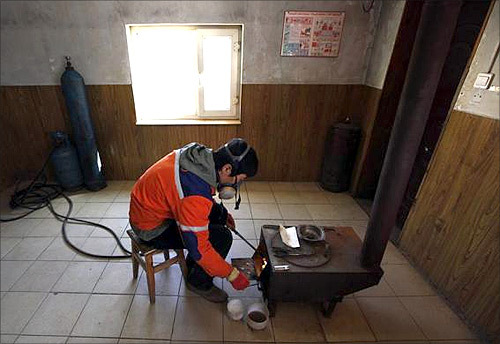 A worker uses a blow-torch to melt a small-scale miner's gold in a small stove at a processing plant located around 100km (62 miles) north of the Mongolian capital city Ulan Bator. 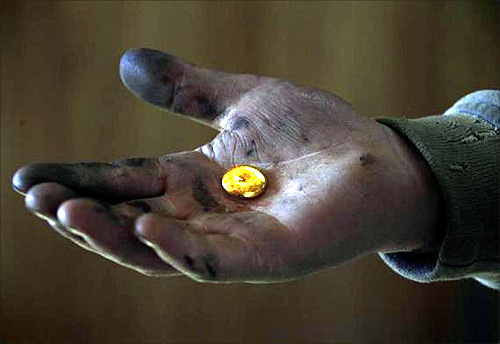 A small-scale miner holds his gold that was melted together at a processing plant located around 100km (62 miles) north of the Mongolian capital city Ulan Bator. Small-scale miners wait for their gold to be melted into one piece before being weighed and sold at a processing plant located around 100 km (62 miles) north of the Mongolian capital city Ulan Bator. 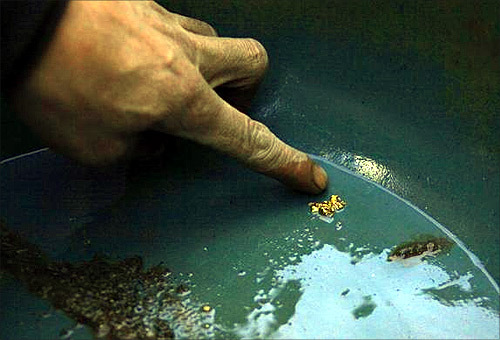 A small-scale miner shows the gold flakes he found at the bottom of his pan on a small hill overlooking grasslands located around 200 km (125 miles) south-west of the Mongolian capital city Ulan Bator. 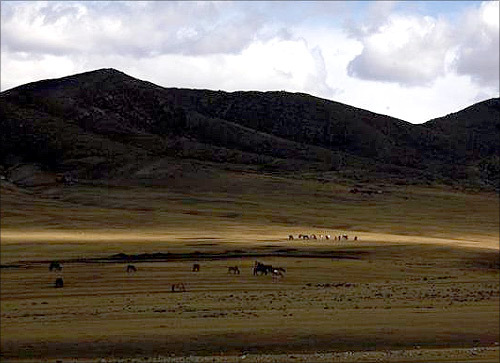 Horses graze on grasslands located around 200 km (62 miles) south-west of the Mongolian capital city Ulan Bator. Mumbai is the world's MOST EXPENSIVE city!